WASHINGTON — President Donald Trump said on Wednesday that Russia was having a negative impact on U.S. efforts to rid North Korea of nuclear weapons while China had been helpful. In an interview with Fox Business Network, Trump said it would be easier to resolve the North Korea nuclear issue if the United States had a better relationship with Russia. "China is helping us and maybe Russia's going through the other way and hurting what we're getting," Trump said of the North Korea situation. A series of weapons tests by North Korea and a string of increasingly bellicose exchanges between Trump and North Korean leader Kim Jong Un have ratcheted up tensions. Trump has pressed China to help rein in North Korea's nuclear program. As North Korea's sole major ally, China accounts for more than 90 percent of trade with the isolated country. Trump said in a tweet that he spoke with Chinese President Xi Jinping on Thursday and the conversation included North Korea. U.S.-Russia relations have been strained over allegations Russia meddled in the 2016 presidential election, Moscow's annexation of Crimea from Ukraine and its backing of the Syrian government. "I think we could have a good relationship" with Russia, Trump said. "I think that North Korean situation would be easier settled." Trump said during last year's campaign that he hoped to improve relations with Moscow. 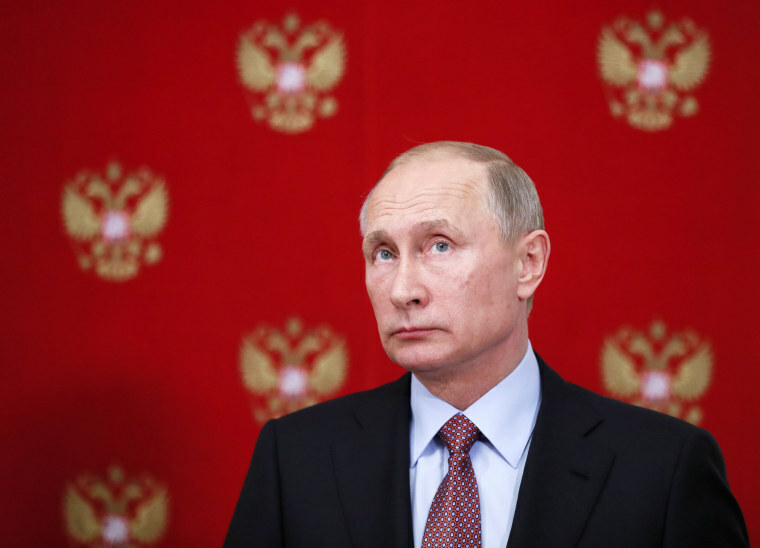 Last week, Russian President Vladimir Putin warned that North Korea must not be "backed into a corner" and urged dialogue to end the nuclear standoff with the U.S. While Putin did not mention the U.S. specifically, but hightlighted the growing possibility of conflict and pointed out that North Korea is a "sovereign country."